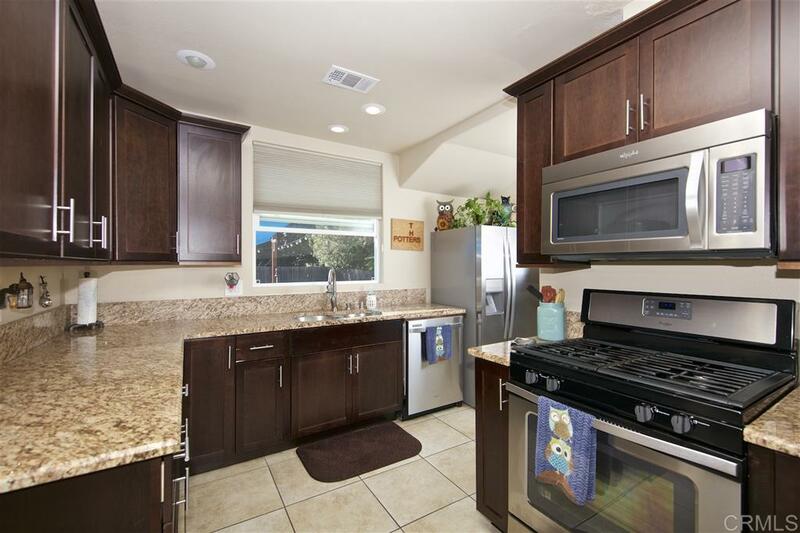 Renovated, move-in ready, La Mesa bungalow, updated with all the modern amenities. Open concept living, featuring a spacious kitchen w/ espresso shaker cabinets, generous solid surface granite counters and sleek stainless steel appliances. The home has been retrofitted w/ dual pane windows throughout, a newer roof, & water heater & furnace. The back yard is very spacious, perfect for a room addition. Spacious 1 car garage directly off the kitchen w/ separate laundry & ample storage. FHA/VA welcome!